I ran a couple of test searches on the platform. A search of the term “environment” retrieved 93 results. 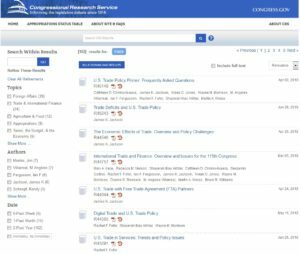 A search for the term “trade” retrieved 102 results. Like other online tools, there are filters on the left you can use to narrow your result list. These filters include: topics, authors, and date. 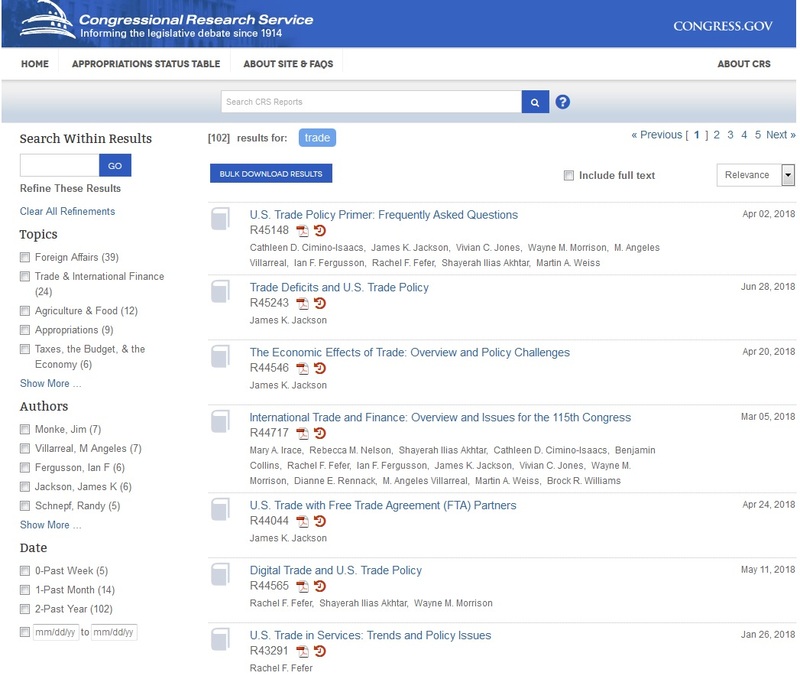 You can also search within your results to retrieve a more refined list. Written by: Kathy Darvil on October 2, 2018. This entry was posted in Access, CRS Reports on October 2, 2018 by Kathy Darvil.